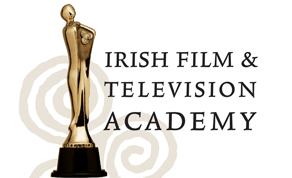 The Irish Film & Television Academy (IFTA), has announced that it is undertaking a Strategic 5-year Development Plan (2019 – 2023). November 2018 has just marked the Academy’s 15th anniversary of the first Awards in 2003 and IFTA’s new Academy Board has taken this milestone as the ideal opportunity to pause, take stock and identify the key objectives for the next phase of growth and development across 2019 – 2023, in consultation with key stakeholders in the industry. The strategic Plan will be prepared over the coming months and launched in March 2019, when schedules will be announced for key tent-pole events including new dates for the 2019 annual IFTA Awards, and further changes to the 2020 awards, in line with recent changes to the international Awards schedule. The Strategic Plan will focus on new structures and funding across the Academy’s 12-month Educational Programme - Inspiring Excellence; expanding Membership to 3,000 professionals; Establishing an Academy Building & housing its Archive; growing the John Ford Ireland Symposium; working with BAFTA and identifying strategic partners, Government funding and commercial sponsorship to deliver high-calibre annual Award Ceremonies to showcase the industry. Over the past 15 years, IFTA has played an important role in supporting, growing and nurturing the Irish industry and rewarding and inspiring excellence. IFTA has built an Academy of 1,240 Members/industry professionals; established a 12 month Learning Programme (over 450 events since 2003; Masterclasses, Lectures, Workshops, Discussions (with people such as Martin Scorsese, Liam Neeson, Michael Moore etc) & the John Ford Ireland – Film Symposium; IFTA has delivered 18 Awards Ceremonies; presented 694 Irish Academy Award statuettes; has honoured 23 Veterans of the Irish industry; IFTA’s Rising Star award has been the first to acknowledge new talent such as Saoirse Ronan, Michael Fassbender, Tomm Moore, Domhnall Gleeson, John Michael McDonagh, Jamie Dornan, Sarah Greene etc; IFTA has developed the Academy Archive of ‘legacy’ material, photography, film/TV footage, interviews, tributes, papers, letters & John Ford Ireland material. The Irish Government recently launched its Olsberg-SPI Report produced by international consultants, which states that “Ireland could double its employment in the sector within five years and that Ireland can become a global hub for the production of film, TV drama and animation with the right support in place”. Screen Ireland (Irish Film Board) also launched its 5 Year Strategic Plan, seeking increased budgets from Government, outlining that Screen Ireland needs to be resourced both in terms of additional funding and personnel. Their report highlighted that their investment in Irish production had “witnessed the most extraordinary success in Irish film, television, and animation; when IFB-supported films received eight Academy Award nominations (Oscars)” in 2016, which they stated was “an extraordinary achievement”. IFTA acknowledges the importance of Awards from international Academies but stresses that ‘recognition and encouragement’ of Irish talent and achievements must always be firstly supported and recognised at home, as this builds confidence within the industry and builds the home audience support. It is clear from testimonials that, winning an Irish Academy Award opens doors internationally to agents, investors, distributors and casting directors, as the recipients are recognised amongst the best in the world. Ireland is well-placed as the only English-speaking European country (besides the UK) to showcase its industry, its superb talent and skills to the world at large. At a time of great change and possibility in the world of film and television, and as we look to the opportunities and challenges that undoubtedly lie ahead, it is only proper that the Academy invests time and resources in the development of a new and far reaching strategy for the future. The Academy Board Members are: Alan Moloney (Producer, Parallel Films) (Chair), Neasa Hardiman (Film/TV Director), Liam Cunningham (Actor, Game of Thrones), John Gleeson (Financier, Grant Thornton), Deirdre Hopkins (Director, IFTA), Nick Linnane (Consultant, Linnane & Co), Áine Moriarty (Director, IFTA). IFTA Film Committee Members are: Neasa Hardiman (Chair), Ros Hubbard (Casting Director), Paul Young (Cartoon Saloon), Audrey Sheils (Head of Distribution, Element Pictures), Brian Kirk (Director), Andy Weltman (APA Europe), John Gleeson (Grant Thornton). IFTA Television Committee Members are: Stephen Rooke (Tile Films), Eddie Doyle (BBC Northern Ireland), Múirne Laffin (former Chief Digital Officer RTÉ), Mícheál Ó Meallaigh (former Commissioning Editor TG4), Brendan Courtney (TV Presenter/Producer), Jannine Waddell (Waddell Media). The Academy's Programme of events and screenings will continue through January & February as usual, and the Academy office will be in touch with Members regarding the Strategic Plan over the coming months.